An unforgettable excursion on horseback to explore the natural beauty of Belize's tropical forest. Of course there will be some free time to relax afterwards in the swimming pools and on the hammocks of a fascinating eco-park. We will travel on an air-conditioned coach to Bacab Eco Park, where instructors will give us a necessary safety briefing and a horse is assigned to each one of us. Our guide will lead the way into the tropical forest where, if we listen carefully, we can hear the cries of the howler monkeys. We can admire the bright colours of the parrots nestled among palm tree foliage and enjoy spotting iguanas basking in the sun on the tree tops. After our ride we return to Bacab Eco Park, where have time for a light buffet lunch and time to relax in the swimming pools of the establishment where we can even lie down comfortably on a lounger or a hammock. The transfer to Bacab Eco Park takes approximately 30 minutes. 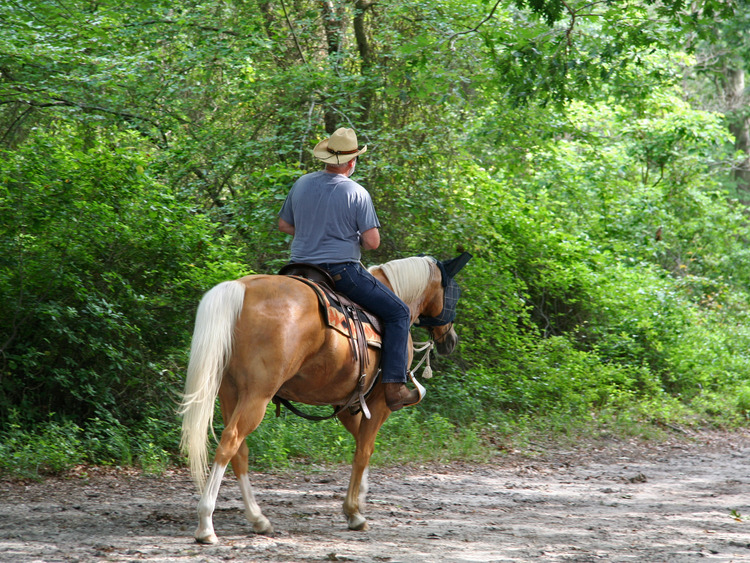 The horseback trip lasts around 50 minutes. Wildlife sightings are not guaranteed as the species described live freely in the wild. The excursion is reserved for those in good health and is prohibited to pregnant women or those suffering from back, neck and hips problems. You must wear closed shoes.